As I discussed in Part I of this article, Rockies Express or REX was slated to be among the biggest, most impactful pipeline projects in U.S. natural gas history. The project, which commenced in 2004, could alleviate the problem of producers with gas trapped in the low-price Rockies region by moving huge volumes of pent-up supply while simultaneously moving the gas toward the east coast – the highest-priced market in the U.S. But a combination of construction delays, cost overruns and a boom in Marcellus shale production on the East Coast turned Rockies producers’ high hopes into potential failure. So what happened? And was REX a mistake? The majority owner and operator, Kinder Morgan Energy Partners, was able to hedge both steel and certain labor costs associated with REX. Owning the pipeline would have been a financial disaster without this cost containment. Even so, right-of-way issues and rising skilled labor costs were a big factor in cost overruns. Lawsuits combined with local and state regulatory delays were very costly in terms of extra time, dollars, and public image. Instead of partnering with stakeholders like city officials and landowners, it appears as if REX rammed the project through. While no one ever expects 100% stakeholder approval, the reputation REX earned has left a negative industry impression with some stakeholder groups. Public/customer relations could have been better managed. From an asset owner perspective, the project has been moderately successful. The pipeline was fully subscribed, meaning owners have locked in the reservation rate as minimum cash flow for the first 10 years of operation. Thus shippers who signed firm contracts, not the pipeline owners, carried much of the risk. However, given the lack of delivery market price differential, the pipeline is not being fully utilized today, and pipeline owners are not fully recovering expected profits since revenues associated with flowing gas are not being realized. The street forecast does not change this fact for the next several years. In fact, one of the minority owners, ConocoPhillips, recently attempted to sell its 25% ownership but withdrew the offer for lack of interest. The expectation for the near and intermediate future is that price differentials will not support the $1.10/Dth transportation rate. As the original firm contracts expire or are released, the asset owners might expect cash flow to drop. For Rockies producers/shippers, REX has provided a much-needed outlet to ship and sell production away from the local market. Initially, gas sellers were able to capture a higher market price in the Midwest and East that more than paid for their pipeline cost. However, as Marcellus production has ramped up, that price differential (known as basis) between the Rockies and the Midwest/East has shrunk. Today, the basis modestly covers the variable pipeline cost plus only a portion of the reservation cost on most days. This means shippers do not collect enough extra value to pay for the reservation charge they are obligated to pay. So, even though gas can move to market, that elusive higher netback has not materialized. While the pipeline may have contributed to higher prices in the Rockies than would have otherwise occurred, it also has significantly contributed to a differential collapse throughout the U.S. While it has given Rockies producers a new, big option, the cost of transportation into a production-rich market is prohibitive. On one hand, REX has been a godsend to producers. On the other hand, REX has been just another margin bubble that has burst. If REX had been completed just two years earlier, Rockies producer/shippers and pipeline owners would have been rewarded by capturing huge netback premiums while building market share in the eastern market. If REX had been proposed two years later, it most likely would never have been built. Since gas markets can change rapidly, the jury is still out on whether REX will be deemed a success or a very expensive mistake. But shippers on REX shouldn’t feel singled out; there are also a number of new LNG terminals in the U.S. that are heavily underutilized, too! Enerdynamics was formed in 1995 to meet the growing demand for timely, dynamic and effective business training in the gas and electric industries. Our comprehensive education programs are focused on teaching you and your employees the business of energy. And because we have a firm grasp of what's happening in our industry on both a national and international scale, we can help you make sense of a world that often makes no sense at all. This entry was posted in Natural Gas and tagged Energy, Gas Pipeline, Marcellus Formation, Natural Gas, Oil and Gas. Bookmark the permalink. Assessment of whether REX has been (or will be) an economic mistake depends upon one’s perspective. 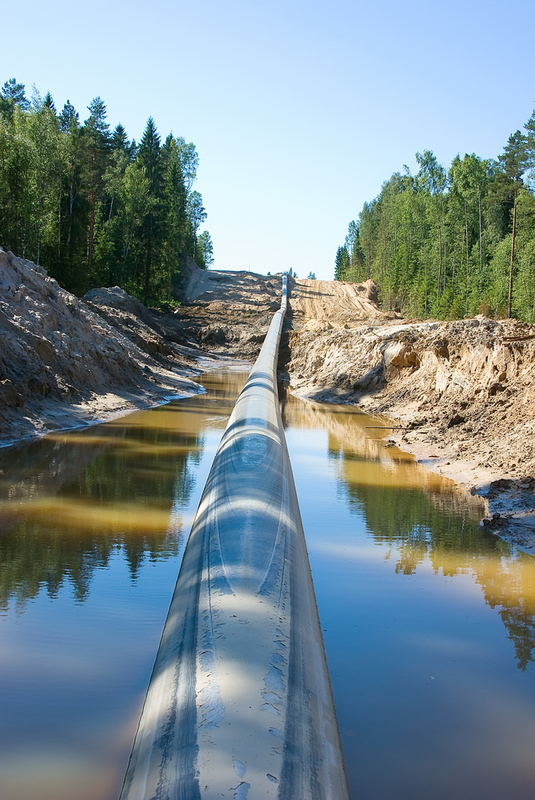 As the article recognizes, the answer to this question may be different depending on whether viewed from the perspective of the pipeline owners or that of the firm shippers. But, even viewed from the perspective of the firm shippers, a consideration not identified in the article is the fact the Foundation Shipper (Encana) and several of the Anchor Shippers (e.g, Ultra, BP, ConocoPhillips) have more gas production in the Rockies (particularly in Wyoming) than the quantity on which they are paying demand charges for REX capacity. All of that gas, not merely the quantity actually shipped on REX, enjoys the substantial increase in prices for Rocky Mountain production that has flowed from the collapse of the basis differential since REX went into service. Thus, while those firm shippers may be “losing” money (at least not realizing as great a net-back) on the volumes actually transported on REX, in many if not most cases, the increment in net-back realized on these shippers’ “other” Wyoming production more than makes up for the demand charges they pay to REX. Would they do it again today? Perhaps not. But having committed to Precedent Agreements in 2005, they (and other producers who road their coat-tails) enjoy the benefits of the collapse of the basis differential and the higher net-back prices being realized today for Wyoming production. In that regard, the subscription to firm capacity by these shippers was not a “mistake” despite the changing market dynamics. Your point is well taken! The Rockies, in total, has seen a significant increase in overall pricing level as a result of REX. It’s the “other” producers, not the original REX shippers, who are the biggest winners in this project. While I do not have access to total shipper production volumes in the Rockies, I still wonder if the founding and anchor shippers have really enjoyed enough of a netback increase on total production to justify their investment. It would be most enlightening to hear from someone within Encana, BP, or Conoco on their company’s stance regarding the REX investment. Of course, this also doesn’t address the financial hedging opportunities. If firm shippers hedged their exposure, they may have left a little money on the table, but not nearly as much as the physical market has dictated. REX is an intersting case study that will be “cussed” and discussed for years to come. Thank you again for your input and perspective! The sadiest part is as they “rammed” the project through they “stole” from the landowners , imposed iminent domain and now there is a big question as to whether the project had any merit? Sounds like everybody looses here. But no one as much as the land owner that didn’t want them there to start with. So much for FERC and actual regulations! What Could Change the Future of U.S. Natural Gas Demand?